Workers aren't going to be excited about technology that replaces them, so our economies need to shift. Experts and optimists can’t help but extoll the positive effects that artificial intelligence (AI) may have on our future. It will revolutionize healthcare! It will make ordering things from Amazon easier than ever! It may even take over the world! But there will be some casualties along the way. And there’s one teensy group that will likely suffer: pretty much anyone with a job. Truck drivers, factory workers, and white-collar number crunchers may soon find themselves out of work, or at the very least in a very different line of work. While this is certainly a bummer, the concrete reality is that artificial intelligence technology could actually boost the global economy. If it’s allowed to play a major role, AI will make our jobs easier yet more productive, and create vast new wealth. But that will only happen if global AI-based economies are set up to benefit everyone. If they’re not, people will grow resentful and impede further technological development. If automation became the enemy of the people, we would never reap the benefits that widespread, advanced AI could bring, such as improved healthcare or increased wealth. The latest report from McKinsey & Company, a research and consulting group, hints that this resentment may emerge, which would impede innovation and widespread adoption of the technology. 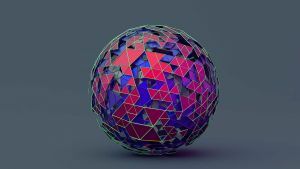 The 64-page report published this month, titled “Notes From the Frontier: Modeling the Impact of AI on the World Economy,” describes exactly how the nations that have begun to prepare for and explore AI will reap the benefits of an economic boom. The report also demonstrates how anyone who hasn’t prepared, especially developing nations, will be left behind. The growing divide between nations that are prepared for widespread automation and those that aren’t, between companies that can cut costs by replacing workers and the newly unemployed people themselves, puts us on a collision course for conflict and backlash against further developing and deploying AI technology, according to the new report. If that happens, then a lot of the big promises that we’ve AI is supposedly going to deliver — things like autonomous vehicles and new medical devices — will never come to be. It also means our economic growth might be stunted. For instance, the report predicts that AI technology, by automating or helping with our menial, data-driven tasks, could free people up to do more productive work and boost the global GDP by some $9 trillion by the year 2030. That’s an 11 percent boost over how we’re doing on our own today. But if we want to bring about the prosperity that AI could deliver, we need to think now about how we want our economies to function, because our current systems won’t cut it. Maybe governments will implement progressive universal basic income systems, or proactively re-train those who are at risk of automation-related layoffs. Perhaps they’ll set up international accords that heavily feature voices from developing nations. But if this report is to be believed, something needs to be done now to make sure that our future AI-reliant society is one where everyone feels the benefits. Op-Ed: We Gave Corporations Our Data. Now They’re Deciding How AI Will Affect Our Future.